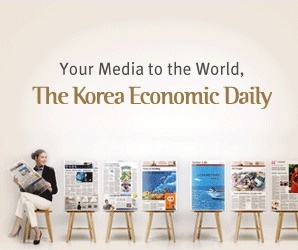 Korea Investment & Securities Co. Ltd. has acquired two Air France-leased Boeing aircraft for $217 million via a domestic fund which raised $125 million in dollar-denominated syndicated loans from South Korean banks. Korea Investment bought the B777-300ER, one of Boeing’s best-sellers, from BOC Aviation, an aircraft leasing company, with a plan to resell to other domestic institutional investors, according to investment banking sources on Nov. 21. The South Korean brokerage firm became the first South Korean institution buying aircraft operated by Air France, the France’s No. 1 airline and the national flag carrier. The purchase also marked the first transaction sealed between a South Korean investor and Singapore-based BOC Aviation, the world’s fifth-largest aircraft lessor. Korea Investment pumped $92 million into a special purpose company set up by Seoul-based KTB Asset Management Co. Ltd. to buy the entire mezzanine and subordinated equity tranches in the SPC. Four domestic lenders — KEB Hana Bank, Woori Bank, NongHyup Bank and IBK Bank – syndicated a senior loan of $125 million to the SPC. Korea Investment’s infrastructure finance division led the whole process of the acquisition from deal sourcing to underwriting. It tapped domestic banks interested in putting their dollar holdings to alternative investments without currency hedging and attracted KEB Hana as lead lender. “When investing in mezzanine and subordinated tranches in an aircraft fund, South Korean institutions used to receive senior loans from foreign financial institutions,” one of the sources told the Korean Investors. BOC Aviation, part of the Bank of China Group, acquired the aircraft around 2010 and leased them to Air France through 2024 with an extension option. When interest rates rise, lease rates paid by Air France will increase accordingly. The SPC will offer a coupon of between 4% and 4.5% per annum to senior loan providers with a five-year term and return part of the principal. Mezzanine and subordinated financing providers will receive mid-7% and mid-9% coupons, respectively, during the investment period and get back the principal at the time of aircraft sale. The internal rate of return for subordinated debt investors is expected to climb to around 15%, considering the proceeds from aircraft sale. In December of last year, Korea Investment acquired one B777-300ER leased by Taiwan-based China Airlines for around $165 million.